VFW donation dinner — 5-7 p.m., VFW Post 10054, Homestead Road, $6. Open to the public. GAP Community Outreach — 7 p.m., New Hope Fellowship, 781 West St., 751-1867. Growing Disciples — young ladies, 4 p.m., 209-4405; young men, 4 p.m., 702-336-9469. Bible study — 9 a.m., Salvation Army Worship Center, 721 Buol Road. Open to everyone. Shepherd of the Valley Lutheran Church — movie, 7 p.m., 650 S. Blagg Road, 513-6419. Men’s Bible study — 7 a.m., Pahrump Community Church Fellowship Hall. Seventh-Day Adventist Church — 9 a.m., Sabbath School; 10:30 a.m., Worship Service; 477 N. Blagg Road, 727-6655. Shepherd of the Valley Lutheran Church — services at 5 p.m., 650 S. Blagg Road, 727-4096. Pahrump Aglow — 9:30 a.m., 750 S. Big 5 Road, 727-5181. VFW and Auxiliary meeting — 1 p.m., Post 10054, Homestead Road. Reiki healing — 10 a.m.-noon, Universal Wisdom Church and Center, 1230 S. Loop Road, Suite 2, 727-0999. Nye Gold Seekers — Membership meeting, 2 p.m., Pahrump Valley Museum, 401 Basin Ave., 513-8089. Pahrump Anime club — 1 p.m., Pahrump Community Library. VFW breakfast — 8-11 a.m., VFW Post 10054, Homestead Road, $6, $7 or $8 donation according to menu choice. Open to the public. Salvation Army Church — Worship services at 11 a.m., (followed by Sunday soup), Sunday school for all at 9:45 a.m., 721 Buol Road. Pahrump Community Church — Worship services at 8 and 10:45 a.m., Sunday school for all 9:30 a.m.; Intercessory prayer, 6:30 p.m.; 1061 E. Wilson Road. Call 727-5384. St. Martin’s in the Desert Episcopal Church — Summer schedule (June 2 — Aug. 31): Worship services at 9:30 a.m., call 537-1115 for more information. Sunday services — Sunday school, 9:30 to 10:45 a.m.; worship service, 11 a.m., Church of the Harvest, 1670 W. Vondell St., 751-2011. Sunday school — 9:30 a.m., Heritage Bible Church, 3061 E. Heritage Drive (at the white cross on Homestead Road and Heritage Drive). Worship service — 10:30 a.m., Heritage Bible Church, 3061 E. Heritage Drive (at the white cross on Homestead Road and Heritage Drive). Sunday services — Sunday school, 9 a.m.; worship, 10 a.m.; fellowship following services, Pahrump Valley United Methodist Church. Sunday services — Pastor’s Bible Study 9:45 a.m., traditional service, 11 a.m., children’s Sunday school, 11:30 a.m.; contemporary service, 6 p.m., Central Valley Baptist Church, 3170 S. Blagg Road, 910-9995. AWANA Youth Group — 6-7:30 p.m., youth ages 4 through eighth grade, Choice Hills Baptist Church, 340 W. Mesquite Ave., bus service available, 751-1417. The Way Baptist Fellowship Sunday service — 9:30 and 11 a.m., 1620 Charleston Park, 727-5242. Sunday service — 10 a.m., Universal Wisdom Church and Center, 1230 S. Loop Road, Suite 2, 727-0999. Covenant Lighthouse Church — Sunday service, 9:30 a.m., 2331-A Blosser Ranch Road, 751-6906. DAWGG Youth Group — 5 p.m., (ages 13-19), New Hope Fellowship, 781 West St., 751-1867. Sunday Service — 9:30 a.m., New Hope Fellowship, 781 West St., 751-1867. Healing Room — New Hope Fellowship, appointment needed, call Carole, 751-6898. Sunday service — Shepherd of the Valley Lutheran Church, 9:30 a.m., 650 S. Blagg Road, 727-4098. Sunday school — Shepherd of the Valley Lutheran Church, 8:30 a.m., 650 S. Blagg Road, 727-4098. Sunday service — Saved by Grace Lutheran Church, 10 a.m. service, 6341 S. Hawkins Way, 751-8424. Sunday Services — Sunday School, 9:30 a.m.; Worship, 11 a.m.; Evening service, 6 p.m.; Freedom of Praise Ministries, 921 S. Highway 160, Suite 401, Wheeler Springs Plaza, 253-1413. Services and Bible study — Pastor’s Bible Study, 9:30 a.m.; Sunday School Service (all ages) 9:45 a.m.; morning service, 11 a.m.; evening service, 6 p.m.; First Southern Baptist Church, 741 E. Fehrs Way, 727-3694. Science of Mind study group — 10:30 a.m., Haven Selah, 1680 N. Blagg Road, 727-8633. Sunday services — 10 a.m., Truth in Life Chapel, 720 Buol Road, Pastor Tony Falcone. Second Missionary Baptist Church — 9 a.m., breakfast; 10 a.m., Sunday school; 11 a.m., worship service, 3651 Homestead Road, 537-1587. Shiloh Baptist Church — 11 a.m. and 6 p.m., worship services, 3061 E. Heritage Dr. (1/2 block east of Homestead), 751-5495. Trick Trucks Club of Pahrump — 3 p.m., Pahrump Muffler Shop, Carberry Lane and Money Street. St. John the Baptist Catholic Church — 4 p.m. mass, on California Highway 127, Shoshone, Calif. Adult Bible Study — 7 p.m., The Way Baptist Fellowship, 1620 Charleston Park, 727-5242.
Review of books in the Bible — 6 p.m., Second Missionary Baptist Church, 3651 Homestead Road, 702-379-8255. Good News Club — 3:15 to 4:30 p.m., Manse Elementary multi-purpose room. Men’s Bible Study — 6:30 p.m., Faith Fellowship, 2190 N. Blagg Road, 727-9183. Boy Scouts — Troop 748, 6:30 p.m., VFW on Homestead Road. Women’s evening Bible study — 6:30 p.m., Pahrump Community Church, Earl Hatfield room. High Desert Bead n Fiber Artists — 10:30 a.m. Call 751-8896 for more information and location. Women’s Bible Study — 6 p.m., It is Finished Ministries, Highway 160 and Homestead Road, 702-813-1490. At the Cross Youth Ministry — 6:30-8 p.m., for all junior high and high school students, Faith Fellowship, 2190 N. Blagg Road, 727-9183. Le Tip — 7 a.m., Pahrump Valley Chamber of Commerce, contact Debra Strickland at 209-5405. Good News Club — 3:15 to 4:30 p.m., J.G. Johnson mod 15. Genealogy computer class — 2 p.m., Pahrump Community Library. Shakespeare Round Table — 2 p.m., Pahrump Community Library. Pahrump Elks Lodge No. 2796 — 7 p.m., 2220 East Basin Ave.
Bible study — 7 p.m., First Southern Baptist Church, Highway 160 and Fehrs Way. Classes for all ages. Adult Bible Study — 6 p.m., The Way Baptist Fellowship, 1620 Charleston Park, 727-5242. Family night — 6 p.m., The Way Baptist Fellowship, 1620 Charleston Park, 727-5242. Bible study — 6:30-7:30 p.m., Church of the Harvest, 1670 W. Vondell St., 751-2011. Adult bereavement support group — 10 a.m., Nathan Adelson Hospice, 1401 S. Highway 160, Suite B. Call 751-6700. Women’s Home League — 5:30 p.m., Salvation Army, 721 S. Buol Lane. Wednesday services — 7 p.m., South Valley Southern Baptist Church, Homestead Road and Kellogg Road. Prayer meeting, 7 p.m., and Bible study, 7:30 p.m., Second Missionary Baptist Church, 3651 Homestead Road, 537-1587. Midweek service — 6:30 p.m., worship, prayer and a devotional message, Faith Fellowship, 2190 N. Blagg Rd. Women at Prayer Bible study — 9:30 a.m., Pahrump Community Church, Earl Hatfield room. Bible study — 6:30 p.m., Shadow Mountain Christian Fellowship, 1500 S. Red Butte St., 751-7623. LDS Pahrump Homeschoolers — meeting for field trips, co-ops, social activities and more. Call Veronica at 751-9324 or Jeanette at 751-2958 for places and times. TOPS NV No. 116 — 4:45 p.m., Desert Greens, 350 Wilson Road, call Teresa, 751-2836. TOPS NV No. 117 — 8 a.m., Trinity Assembly of God Church, 750 S. Big Five Rd., call Judy, 209-2753. Nurturing parenting class — 1-3 p.m., Family to Family Connection, 621 S. Blagg Road, 751-1118. 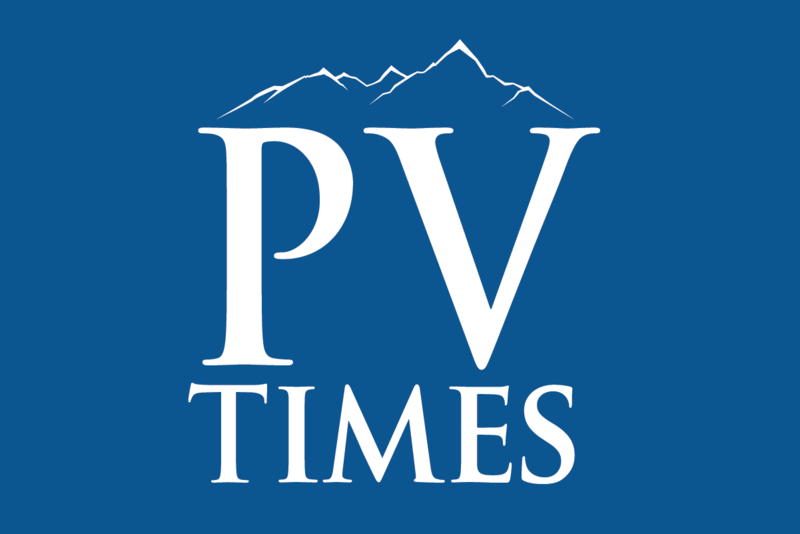 Pahrump Valley Rotary Club — 6 to 7 p.m., Mountain Falls Banquet Room. Worship service — 6:30 p.m., Central Valley Baptist Church, 3170 S. Blagg Road, 910-9995. Co-ed Bible study — 5:30 p.m., Heritage Bible Church, 3061 E. Heritage Drive (at the white cross on Homestead Road and Heritage Drive). Pahrump Community Choir — 7 p.m., choir rehearsal, Rosemary Clarke Middle School, 4201 N. Blagg Road, 751-6957. Pahrump Valley Men’s Golf Association — meet/play, 9 a.m., Mountain Falls Golf Club, 727-8808 or 727-8809. Hour of Power — from 6 to 7:30 p.m., Seventh Day Adventist Church, 477 N. Blagg Road. Bible study — 6 p.m., Freedom of Praise Ministries, 921 S. Highway 160, Suite 401, Wheeler Springs Plaza, 253-1413. Wednesday service — 5:30 p.m., Pahrump Valley United Methodist Church, 1300 E. Highway 372, 727-6767. Bible Study — 6 p.m., It is Finished Ministries, Highway 160 and Homestead Road, 702-813-1490. Good News Club — 2:45 to 4 p.m., Hafen Elementary multi-purpose room. Children in Action — 6:30 p.m., for children in grades K-6, Shiloh Baptist Church, 3061 Heritage Dr. (1/2 block east of Homestead), 751-5495. Bible study — 6:30 p.m., Shiloh Baptist Church, 3061 E. Heritage Dr. (1/2 block east of Homestead), 751-5495. Beginning computer class — 1 p.m., Pahrump Community Library. Knit Wits — 1 p.m., Pahrump Community Library. Playgroup — 1 p.m., Family to Family Connection, 160 S. Emery St., 751-5898. Lightsource Youth Group — 6 p.m., Teen Care, 41 N. Highway 160, Suite 7. Kiwanis Club — 6:30 p.m., at the Best Western RV Park clubhouse, 1101 S. Highway 160, 775-410-2872 for information. Awana Club — 6:15-7:45 p.m., the Pahrump Community Church has an ongoing club for pre-school through high school, 1061 E. Wilson Road. Call church office at 727-5384, ask for Commander Caleb Walker for more information. Men’s Bible Study — 6 p.m., New Hope Fellowship, 781 West St., 751-1867. Women’s Bible Study — 6:30 p.m., New Hope Fellowship, 781 West St., 751-1867. Pahrump Peggers, ACC Grassroots Cribbage Club — noon, Wulfy’s, 1101 S. Highway 160, 209-4444. Co-ed Bible Study — 6:30 p.m., Faith Fellowship, 2190 N. Blagg Road, 727-9183. Shadow Mountain Quilters — 9 a.m., Bob Ruud Community Center, 751-4944. Youth night — 7-8:15 p.m., Central Valley Baptist Church, ages 12-18 welcome, 3170 S. Blagg Road, 910-9995. Good News Club — 3:15 to 4:30 p.m., Floyd Elementary multi-purpose room. Desert Squares — 6 to 8 p.m. square dance group, all adults welcome, no experience necessary, at the Methodist Church on Highway 372. TOPS NV Chapter 151 — 7:30 a.m., The Way Baptist Fellowship at 1620 W. Charleston Park.